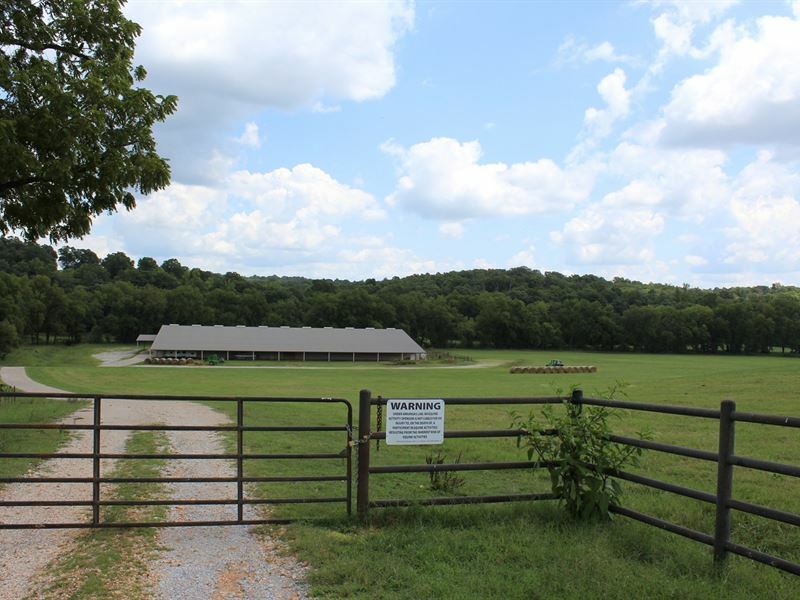 Northwest Arkansas bank owned horse farm, equestrian center and 132 acres. This facility is near Siloam Springs, Arkansas, XNA Airport in Benton County and 20 miles from Fayetteville, Arkansas. The horse ranch is close to Bentonville, Arkansas. Attractions in the NWA area consist of the University of Arkansas, Walton Art Center, Crystal Bridges museum and water sports on Beaver Lake. For the horse racing enthusiast, Remington Park in Oklahoma City OK and Oaklawn Park in Hot Springs Arkansas are both located approximately 4 hours from this horse farm. The 50,000 sqft indoor riding arena features a 2 bedroom 2 bath apartment inside, a wash bay and tack room. The arena has featured roping, barrel racing and horse shows. There are 3 Very Large fans hanging from the ceiling creating constant air flow. There are 4 natural gas heaters inside the arena, when riding in the cold weather. The building has 8 overhead doors of which 4 12x12, 2 20x14 and 2 6x7. Pipe fencing and chute outside the south end of the arena. The property is fenced and cross-fenced with four outdoor horse shelters. The equestrian arena is located just off the paved road and has a concrete driveway. This horse ranch features 60 acres open for grazing, pasture and hay, with the remaining acreage in 72 acres of rolling hills of timber. The back 72 acres of the property can be used as a private deer and turkey hunting spot. This horse ranch features three ponds and a wet weather creek.